Mega Megan Part 2 - Why Not You Too? Last week on the blog we looked at one of our swimmers Megan and her stunning swimming progress over the last 2 years as she improved her threshold swimming pace from 2:12 /100m to 1:32/100m. This is a huge improvement, good enough to take her from being one of the slowest in our squad to being close to swimming with some of our fastest swimmers with extensive swimming backgrounds. It is certainly fascinating to see a swimmer improve so much and get a clear before-and-after perspective from the video footage. We know from all your emails, youtube and blog comments that it has inspired many of you on your own swimming journey - which is great! But what if Megan's story left you feeling a little uncomfortable or frustrated? After all, if she can make such big improvements with her swimming then why not you too? When you read the post, did you put Megan's improvement down to her age, or her background or some sort of untapped natural talent? If so, you missed her real secret. The fact is that Megan has nothing unusual in those areas, she was and in some ways still is a very 'normal' swimmer... except in one regard. That's all it is. Not overthinking. Not over-analysing. Never talking herself out of the work she needs to do to improve. You might need to think about this answer before you give it but I've been swimming longer than Megan (a lot longer) but am still in lane 1 - how come? That, right there, is exactly the problem! If you lack consistency with your training then your fitness is constantly in a state of snakes and ladders (see this post). Megan's fitness isn't like that, it's on a constant upward curve and she's still improving even now after two whole years of consistent training. Of course unless you're a professional athlete, some time away from the pool is inevitable for work or family commitments but the key reason someone else has improved and you haven't is very very likely to be your consistency. Why not throw yourself the challenge of 8 to 12 weeks of unbroken focus on your swimming and see what can be achieved in that time frame? You might just surprise yourself! "I do know that I felt a big difference when I started swimming Wednesday mornings. I am not sure whether Wednesday improved my CSS or not but it definitely increased my confidence – 1 km TT? *shoulder shrug* … sure, whatever :-)"
Megan's not saying that out of bravado, that really is how she thinks. When was the last time you really shrugged at a swimming time-trial? The key to improving is not to over-analyse or procrastinate but, like Megan, come to terms with the work you need to consistently do, switch off the brain and get on with it. If you can face your training with an inner smile rather than an inner grimace you've got everything you need to be the next Megan. Don't fear the hard work but actively embrace it - that is the attitude of a true champion. JB Trust Triathlon On July 12th And New Swimmer/Coach/Club Packs! Just a reminder that the Jenson Button Trust Triathlon is taking place this July 12th at Luton Hoo, Bedfordshire, UK. 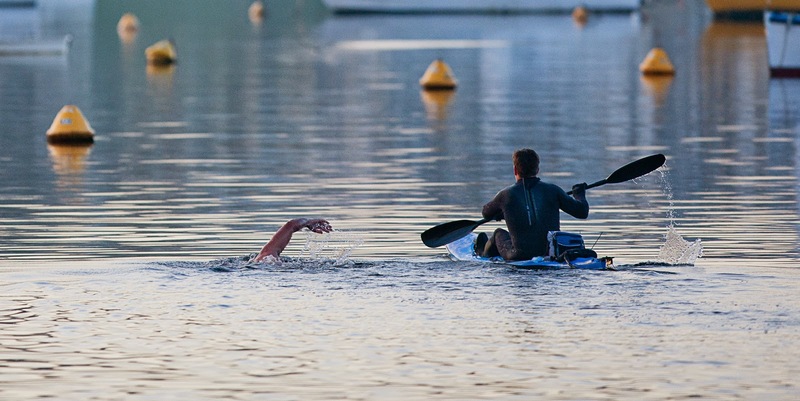 The Swim Smooth Team will be in full attendance, and subject to some final arrangements, we hope to be running a free open water swim clinic at the venue for all competitors, to give you some final tips the night before the race (Friday evening). Confirmation coming soon! It's going to be a fantastic day of racing (and socialising!) - Paul Newsome and the rest of the SS team very much hope to meet you there! Plus, if you're a Triathlon England member, you can receive an additional £5 discount off this pack! In conjunction with Finis we've assembled a complete set of stroke correction equipment and tools for any coach working one to one with swimmers. 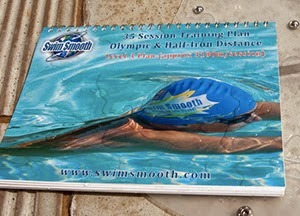 This is the same selection of equipment used by our prestigious Swim Smooth Certified Coaches. 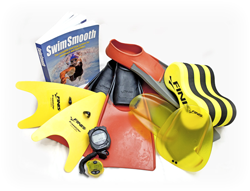 Designed as a starter set of equipment for triathlon and swim clubs, this pack contains Swim Smooth's recommended equipment for squad training with around 12 swimmers. The set is designed to be both versatile and comprehensive, and is recommended by Triathlon England. Coached by our SS Head Coach Paul Newsome in Perth, she's worked on her stroke technique, her swim fitness and her open water skills to go from the back of our slowest lane in the SS squads to knocking on the door of the top lane! The amazing thing about Megan is how 'normal' she is, perhaps initially swimming at a similar level and with a similar style to yourself. She's not especially tall, she doesn't have the athletic talent of an Olympian and she has to train around a full-time professional job. As we'll see below, Megan has developed a great little stroke packed with punch and rhythm. She's developed a good feel for the water despite not having any swimming background. She's determined, she's persistent and she's swim fit. And the really scary thing (for our top lane) is that she's still improving! Megan was a classic Bambino with a slight tendency to over-glide and if you feel you fit this Swim Type yourself then make sure you take a close look at how and why Megan's improved and bring a little of that 'Megan Magic' to your own swimming! Even if you are already a strong swimmer yourself, there's some big lessons to be learnt here in what will help you make big strides forward with your swimming... and some of them go against conventional 'wisdom'. Paul with Megan - proud as punch! What is every coach's number one goal, the thing that keeps you getting up at 4.20am every morning come wind, rain or shine? Simply to see your swimmers - all of your swimmers - improve, flourish and develop a deep love for this wonderful sport of swimming. That is all you can ever ask for. Whether that leads to an elite athlete winning a big championship event, or to take someone with a complete phobia of water to achieving their very first length of freestyle, these moments are what drives coaches on day after day, week after week, year after year. It is a very rewarding occupation especially when a swimmer achieves something they never believed they could do (despite me occasionally being asked by random pool patrons what I do for a real job!). A few months back I was archiving the last three years of my recorded 1-2-1 video analysis sessions (all 5,273 of them!) which left me reflecting on who had made the most significant improvement overall. So many swimmers came to mind, including Gavin Cooke's 46 seconds per 100m speed increase in 10 weeks, a brilliant and incredibly rapid improvement. Also 3-time Ironman Champion Kate Bevilaqua taking her 3.8km time from 1:04:50 to 49:33 in 4 years, going from the back of the pro-ranks out of the water to the very front. Or perhaps triathlete Renee Baker, taking her threshold pace from 1:45 /100m to 1:22 /100m and in doing so turning Pro. The one I’ve picked out for you to study here was a young lady called Megan Surrette because of the sheer range of her improvement (from 2:12 to 1:32 /100m at threshold) and the fact she is still on a rapid trajectory of improvement after that. Plus she achieved this not as a full-time athlete but with a professional job around which to squeeze in her training. Or if you prefer, continue reading as I take a brief look at the same points in written form below. "I am a Hydrogeologist and work as a consultant here in Perth but I grew up in a rural community in Nova Scotia on the east coast of Canada. Nova Scotia is a relatively small province that is almost an island so you are never far from the ocean, which is brilliant as I always loved the ocean (I refuse to live inland). I had never received any formal swimming instruction (prior to Swim Smooth) apart from the occasional lifesaving course growing up. I moved to Perth in 2007 and considered myself a runner at the time. I took up Triathlon through peer pressure from work colleagues! One of my colleagues swam with the Swim Smooth squad and recommended that I try squad swimming and/or a 1-2-1 Video Analysis. She is very passionate about the Swim Smooth approach and knew I would benefit from it. 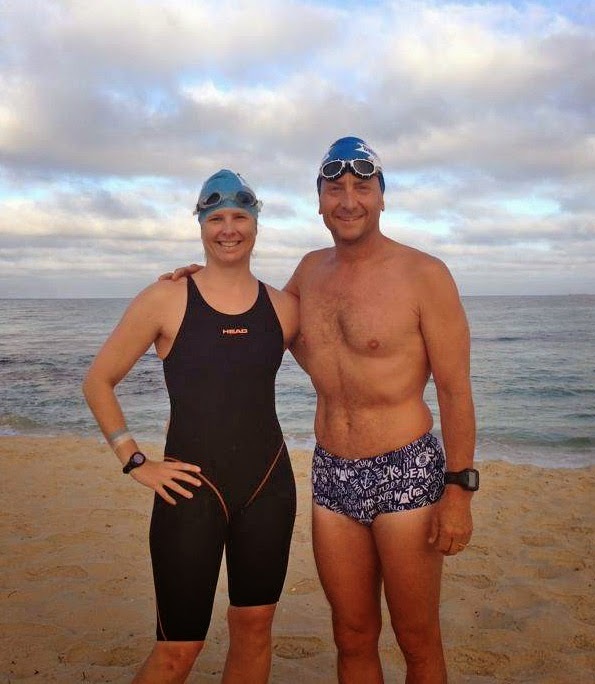 However, I was very reluctant to do either as I considered my swimming ability to be too poor but I finally booked into a 1-2-1 session with Paul in June 2012." - Surprisingly low sinking legs. - A lack of "Feel for the Water" or "Oomph" to her catch at the front of the stroke. - A stroke rate well below what she should have been swimming at. If we focus on the 3rd point for a moment - Megan was (even then) one of the smoothest >2:00 /100m swimmers I have ever taken for a session. She had grace, poise and very little splash or bubbles. My initial response looking at her stroke was that it simply looked "slow" and that she looked almost unwilling to disturb the water at all as she moved through it. Without saying why, I asked her to swim at 52 SPM using a Finis Tempo Trainer Pro just to see how it felt. She was surprised to find that she was easily able to elevate her stroke rate by 18% and that it actually felt more fluid and rhythmical to swim like this. It's no use simply telling someone that their stroke rate is too slow, we need to determine why that is the case and what can be done to enhance the stroke and as a direct consequence allow higher stroke rates to be sustained. Of course not every swimmer needs to elevate their stroke rate, as discussed here it's a case of ascertaining whether it is too slow (or too fast) for your given swimming speed, height, build, arm length and the swimming events you are targeting: i.e. pool or open water. Working on those elements of her stroke, Megan was "completely shocked that my swimming improved so dramatically" after the first video analysis session. She is swimming at 64+ SPM here (an elevation of 45% from the original video) and you can clearly see the extra rhythm. But most interestingly, she was taking 6 more strokes to complete each 50m length! How could this be? How could a swimmer improve their speed and their efficiency so much but be taking more strokes to complete each length? Since the late 1980's old-school swim coaching has repeatedly told us that taking fewer strokes is the "key metric" to improve your efficiency but this is far from the real truth. Taking fewer strokes pretty much became the world view of efficiency, and let’s face it, is very easy to simply count your strokes and monitor it. However, the real key to greater efficiency is not to simply minimise stroke count but to strike the right balance between the length of your stroke and your stroke rate. 50 strokes per 50m might sound better than 56 but in the case of Megan, it clearly wasn't right for her. Are you endlessly in pursuit of making your stroke ever longer and praising yourself for every stroke dropped per length? Great if your speed is improving, but if its not, something needs to change! Of course, it's not only the technical adjustments to Megan's stroke that have led to such amazing improvements but also the type of specific fitness training and volume she has been swimming. "I do distinctly remember thinking there is NO WAY I will ever have a CSS less than 2:00 min/100 m. EVER. And to be frank, I am always shocked after every time trial when you tell me I've improved my CSS. I would be elated even if it just stayed the same!" The proof is in the pudding here and since July last year, Megan has further improved her swimming to a CSS pace of 1:32.5 / 100m - wow! Should You Be More Like Megan? before the Rottnest Channel swim! This positive demeanour is what has always made Megan such a pleasure to coach, and I think we can all learn a lot from this. It sounds derogatory to say that Megan's swimming mood is "monotone" but really this is the highest compliment I can give: there are no high-highs, but equally there are no low-lows either - just dependable consistency and ultimately it's this attitude that has led to such a massive improvement. There is no rocket science here - Megan is a "glass half-full" type of person and is able to very quickly write off any disappointments and move forwards. Each session is but a very small piece in the greater jigsaw puzzle that is your swimming improvement. Are you able to do this or are you caught in an endless cycle of paralysing yourself through endless critical analysis. Megan just gets on and does it, do you? 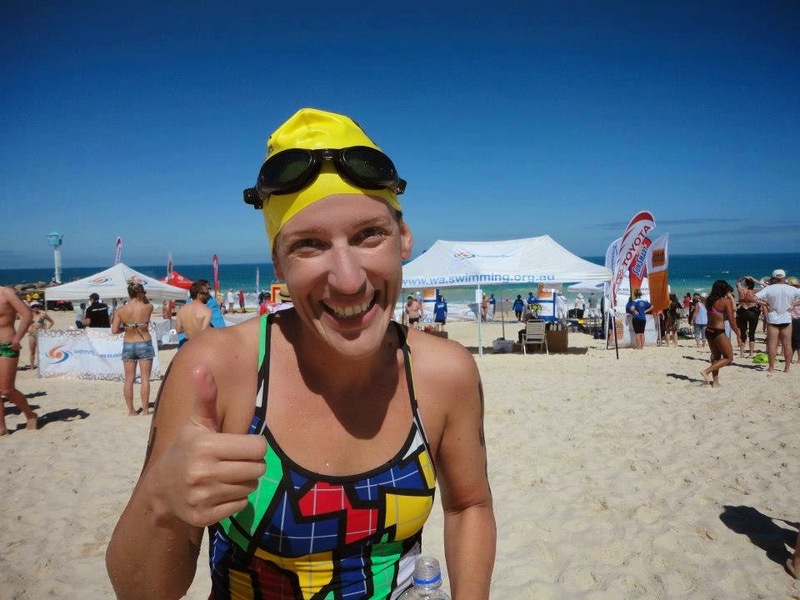 And so after just 20 months of swimming and getting her CSS pace down from 2:12 /100m to 1:32.5 /100m, Megan took on the challenge of the mighty 19.7km Rottnest Channel Swim on 22nd February 2014. She completed the swim in 6h 42m 57s at an average pace of 2:02 /100m which takes into account stoppage time for drinks, course changes and a significant cross current. 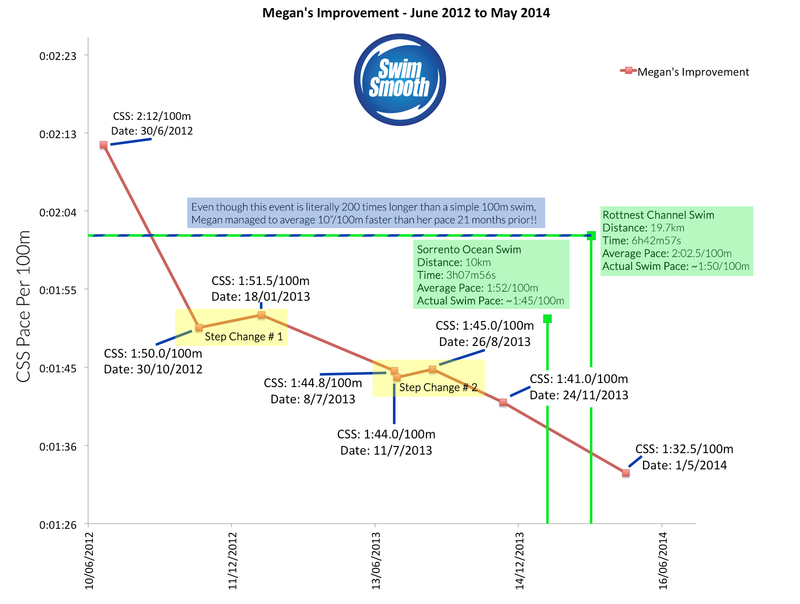 At a conservative estimate, Megan's real water speed would have been around 1:50/100m - 22 seconds per 100m faster than her original video analysis recording in 2012, for a continuous distance 200 times longer! The start of the Rottnest Channel Swim - from here the island is over the horizon! "I suspect this blasé attitude I developed toward the longer distances during the Wednesday sessions extended to my thoughts of attempting a solo Rotto swim. Although, I am really not certain why I thought I could tackle Rotto. Likely pure naivety! Up until just prior to the City Beach 10 km qualifier (early November 2013), the longest distance I had swum (solo) in the open water was 5 km at the Rotto Rehearsal in February 2013. 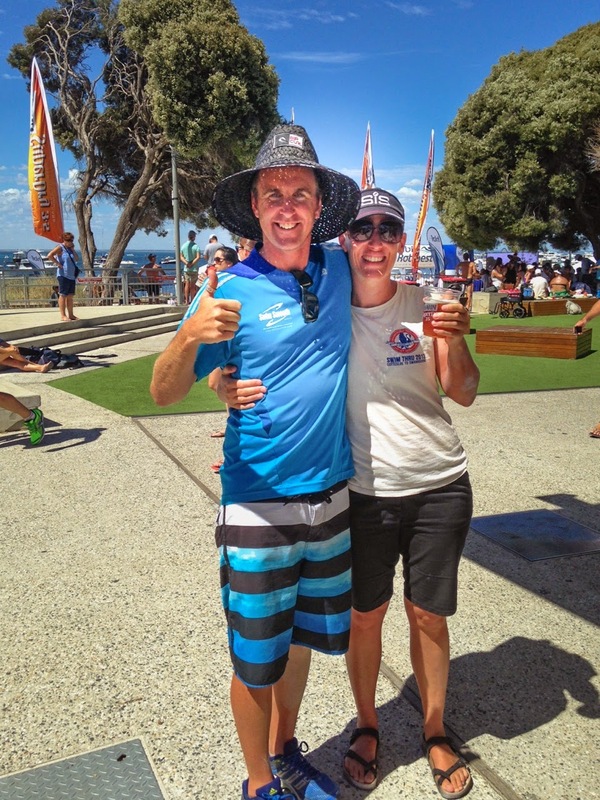 I swam 8 km in the river with SS coaches Emma and Sally the weekend before City Beach. I felt good. I could have kept swimming. So I decided to sign up for the City Beach swim and the rest is history really. 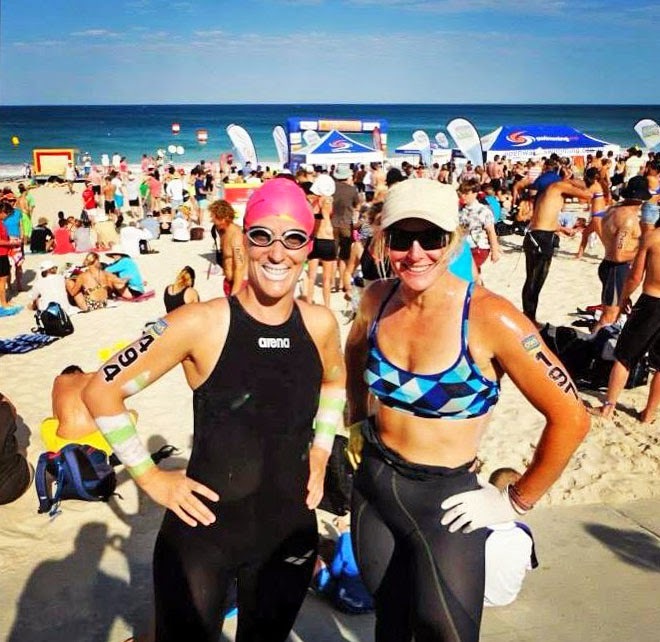 "The City Beach swim solidified in my mind that A) I do really like swimming longer distances; B) I'm not completely rubbish at pacing; and C) I knew that I was capable of having a go at Rotto. This confidence was the key for me. "Technically I think the things that improved my swimming are (or perhaps better said, make me feel more comfortable in the water): focusing on spearing a bit deeper in the water (my swimming mantra used to be no hand-brakes, no dead spots); lifting my head position a bit more forward - I'm not certain what this has done, but it feels great!" Megan would be the first to say that if she can do it, so can you! 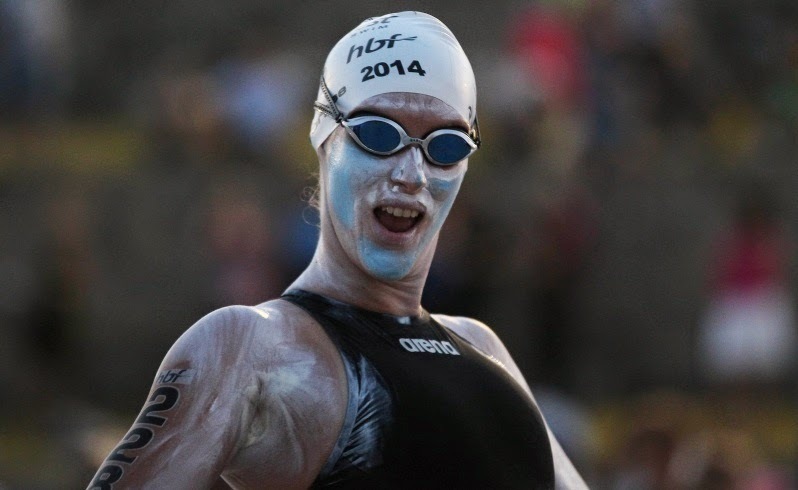 Just as Megan's journey started by coming to see myself for a consultation, by visiting one of our excellent Certified Swim Smooth Coaches, you too can find out exactly what you need to do to improve. Special thanks to Megan for allowing us to share her journey with the world. Thanks Megan, I'm very proud of you! Swim Smooth are very pleased to announce we are delivering a series of Open Water Swimming Training days in partnership with Triathlon England. The training days are designed to give triathletes and swimmers of all abilities the opportunity to maximise their ability in open water by receiving world renowned expert coaching from Swim Smooth. Order now as these will sell out very quickly, the whole range continues to be in huge demand. If you have any questions about your size or availability please send us an email to sales@swimsmooth.com and we'll get right back to you! Almost every swimmer, no matter how experienced, has some level of anxiety when swimming in open water. 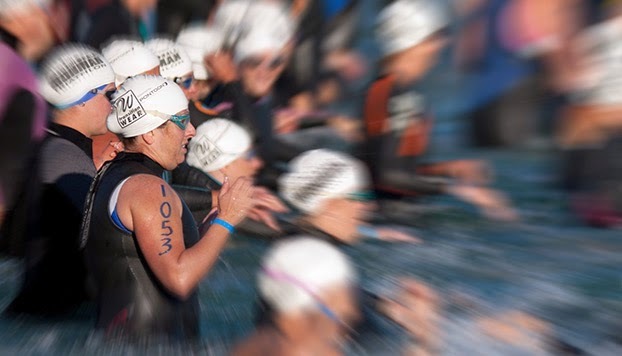 We estimate that for around 50% of swimmers, anxiety is a significant barrier to their performance in open water as it causes them to lose focus on swimming straight, miss drafting opportunities and causes them to start out too quickly (making their breathing ragged and so exacerbating their anxiety further). For perhaps another 5-10% of swimmers, their fear is such that it risks ruining their entire race through a panic attack or even pulling out before the race from feeling like they won't cope. A lot of swimmers describe this as 'not liking open water swimming' or as 'being afraid' of it. But that's suggesting you have a general fear of everything about it, which is almost certainly not true. Instead there's going to be specific things, or perhaps one single specific thing, that sets off your anxiety. That's not an exhaustive list but should give some good food for thought to examine your own fears. Once you have clearly identified what sets off your anxiety then you need to devise a cunning plan (Baldrick) for overcoming it. Normally this involves deliberately encountering your fear in training in a controlled way so that you gradually and progressively overcome it. Head Coach Paul Newsome: A while back I was coaching a swimmer who swam quite well in open water but struggled in races when she was in close proximity to other swimmers as she had a great fear of being splashed in the face. In training we went for several open water swims together with myself swimming alongside her. The plan was for me to deliberately splash her face a little bit from time to time as we swam along, which we treated as a bit of a game. She coped pretty well, so we progressively increased the level of splashing more and more! When next in a proper race scenario, she simply recalled the game we'd played many times over in the ocean and knowing she could now cope, it brought smile of confidence to her face rather than a frown of panic. If you feel unbalanced or unstable in open water then a great strategy to employ is swimming with a little more punch and rhythm. This actually increases your stability as you encounter waves and chop, you'll instantly feel a lot more comfortable by doing so. This is particularly relevant if you have a gentle stroke with a slow turnover (classically Bambinos and Overgliders). last year, Paul still gets anxious in open water like anyone else. 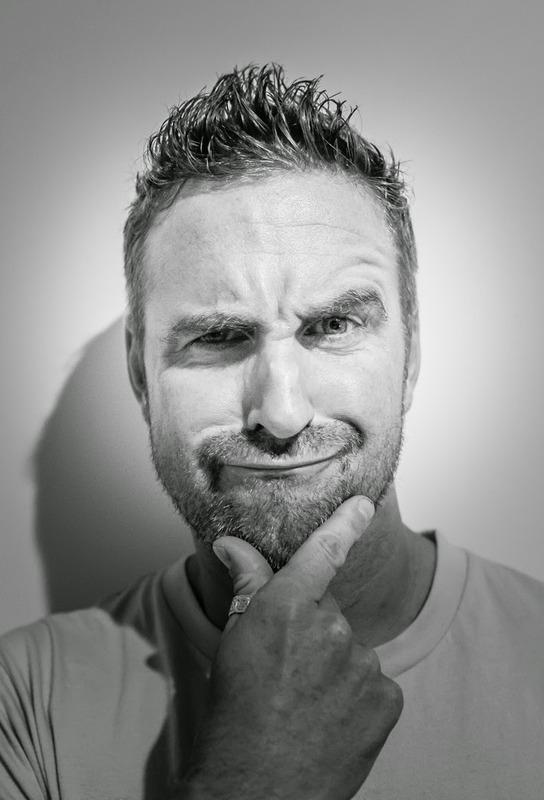 Paul: I was (and to some extent still am) a little phobic of open water swimming, it's the deepness of the water that triggers me off, this is despite having now swum in some of the deepest, darkest oceans on the planet! As a junior this prevented me getting into triathlon sooner as my imagination ran wild with all the possible scenarios that might occur! I still get a little anxious from time to time but confronting this fear when learning how to scuba dive in Thailand 13 years ago really helped. Whenever anxiety levels rise, I simply focus on calming my breathing down with the mantra “bubble-bubble-breathe” repetitively running through my head. If you are travelling to a major race (e.g. 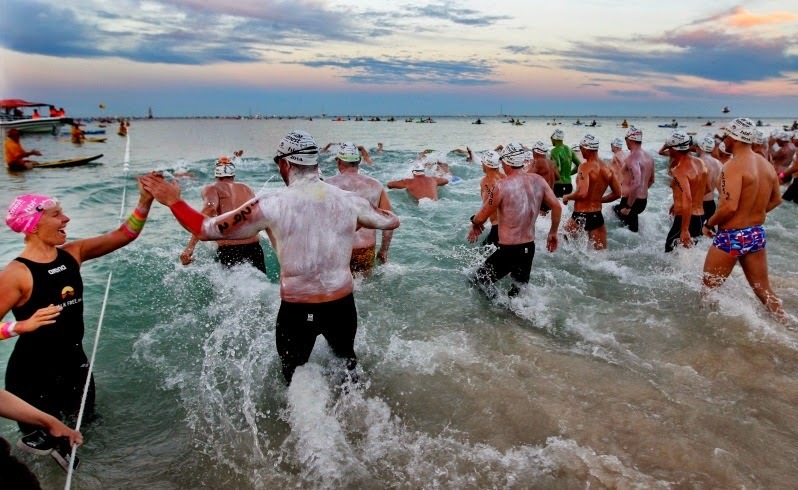 a championships or an Ironman) which has conditions you can't replicate locally, it is well worth getting there a few days early to swim regularly on the course in the build up. Getting out on the course with some friends swimming close to you is a great way to get used to race conditions before the race itself. Developing a strategy like this seems a very obvious thing to do but very few athletes take the time or have the discipline to do it. It is tempting to avoid our fears but by seeking out a venue where you are likely to encounter your particularly trigger you will gradually overcome it. 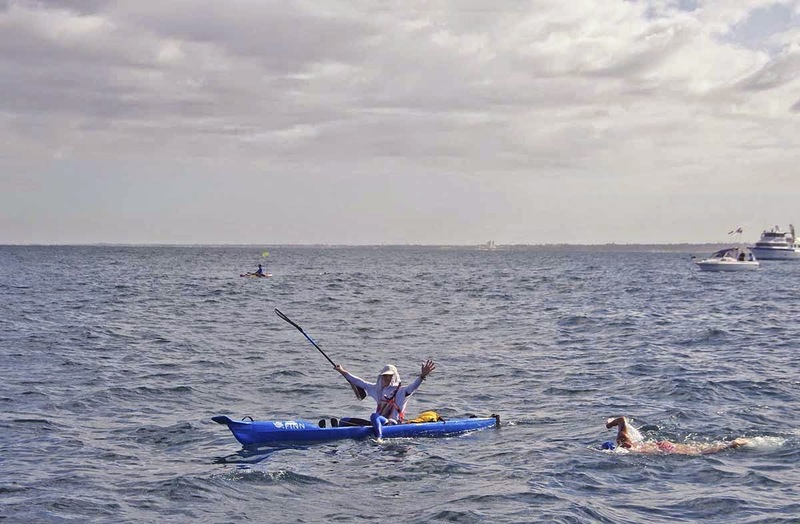 Having of a coach or friend in the water with you (or on a kayak) will give you valuable support and help you push through the fear and out the other side. Overcoming a fear is rarely a pleasurable experience but by doing so you will start to unlock the door to great open water swimming. You can do it! PS. If you're in the UK and feel a little anxious in open water, The Triathlon England Training Days we're running (mentioned at the start of the post) would be perfect for you! A couple of weeks ago on the blog we explored the benefit bilateral breathing can bring to your swimming. It was one of our most read posts ever and it generated a huge response! Thanks to everyone who tweeted, facebooked, emailed and commented! Recently I've read a whole host of swimming articles written by coaches and professional triathletes on whether there is value in doing drills in the pool. Without question opinions vary on the subject ranging from the believers to the non-believers and others somewhere in the middle. Another thing constantly under scrutiny is what percentage of your swimming should be given over to doing drills in the first place. I've also read some coaches completely dismissing certain swimming fundamentals completely out of hand. What this has all led to is some very confused swimmers out there! Even as an experienced coach I read some of these articles and not understood the arguments made so what hope does the poor hapless triathlon swimmer have? Not much is the answer. Should we regularly drill as swimmers? Actually, this is not the easiest question to answer because it is highly dependent on the individual. If we were all the same then training would be simple and the format for training would be standardised. But thankfully we live in a world where individuality is rife. What works for one person doesn't mean it will work for the next - it is our challenge as coaches to be smart enough to recognise individuality, develop it and find the right way for the athletes we work with. That's part of the challenge of being a coach. I think the confusion stems from not knowing whether the advice being handed out is specific to you or not. It might be right for you but equally it could be drastically wrong and lead to huge frustration. If you are serious about developing your swim stroke you need to be working with a reputable coach, who ideally can film your stroke both above and below the water. 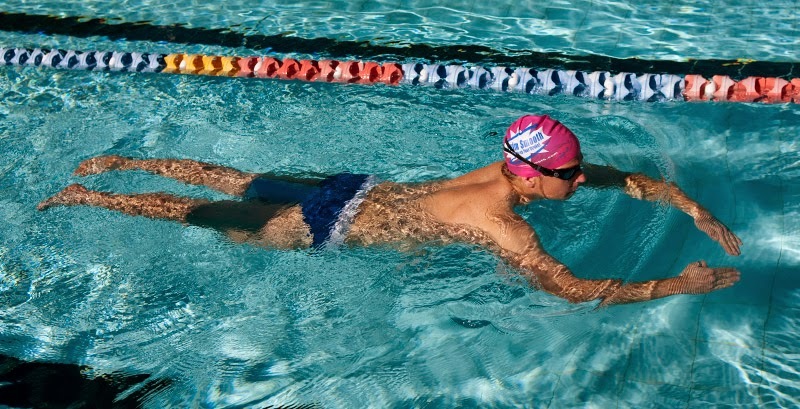 They should then identify the right blend of technique and fitness work that will help you develop as a swimmer and move you towards your race goals. Once you've seen yourself swim and understood what it holding you back in your stroke, the path forwards is so much clearer and it doesn't mean you have to spend a fortune on weekly coached swim sessions. My goal with every swimmer I work with is to get them to focus on the right path forwards from the word go, I also like to build the picture of how we will develop their stroke moving forwards - it doesn't just happen in one session. It’s well worth the investment to start with a video analysis of your stroke, it’s such a powerful tool to get you focused on the right things and immediately heading in the right direction. Only the other day I had a video analysis session with a lady who was being coached on-line and was being sent complicated drills to do, she didn't know whether she was coming or going. Her coach was giving her these drills without ever having seeing her swim and there were lots of them! All of this resulted in her dreading going to the pool because nothing she did felt right and her stroke was a mess. Once we had managed to de-clutter what was going on inside her head, I gave her a few simple drills and she was away. She actually couldn't believe it could be that simple and got quite emotional poolside because of the frustrations she had had with her swimming. It just doesn't have to be that hard! 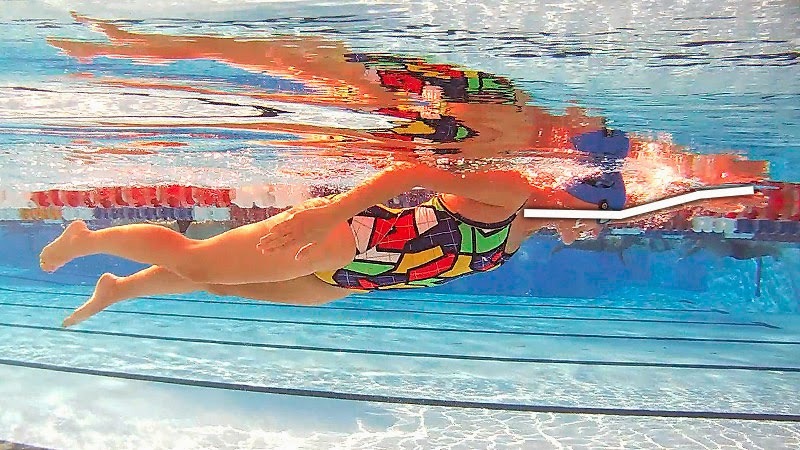 Another big problem I see in swimming is people doing endless drills that are not specific to their stroke. 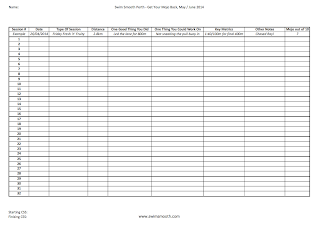 Only this week I coached a guy who said he was doing 10 drills per session! He left our session with a plan containing only 3 specific drills in total and only two to be done in any one session, the relief on his face was clear to see! Most of the time athletes are also performing drills incorrectly which only reinforces poor stroke mechanics. When asked why they are doing a specific drill they normally have no idea, they just picked it out from a magazine without knowing if it's a good drill for them. I've also heard many statements about you needing swim fitness first to hold onto good technique and whilst that's partly true there are a whole host of weaker swimmers who that doesn't apply to. Some of these swimmers have such drastic problems with their stroke that by simply making them swim more to build fitness would do more harm that good when they need to be doing drill work to help correct these faults and build their swim confidence. I believe athletes of every level from beginner to pro should incorporate sensible drills that help improve their stroke and just because you're a pro doesn't mean you have great stroke mechanics, I've coached enough of them to know this. The amount of drill work will be specific to each swimmer’s ability, physiology, stroke mechanics, time of year and race goals. Its a given that early season is the time to identify stroke flaws but then as the season progresses the amount and balance of technique work to fitness work will change, that's not rocket science - we don't need to see swimmers "drilling themselves to death all year" and that's certainly not our goal. It's the coach's job to put together the pieces of this jigsaw puzzle for the athlete. If a coach can find a drill that works for the swimmer and the swimmer can see or feel the benefit then its job done. There’s a sub-debate here and that’s whether you should perform sculling drills. I've been fortunate enough to work with swimmers such as Becky Adlington, Kerry-Anne Payne and Duncan Goodhew. The thing they all have in common is the belief that sculling adds huge value to a swimmers "feel for the water” (both for open water and pool swimming). It is not a mystical feeling but something which is very real and objective when taught correctly. I've seen swimmers who have good feel for the water naturally but I’ve also seen hundreds who have developed it very well through sculling type drills who didn't have it in the first place. Sculling helps you engage with the water correctly at the front of the stroke. I hope in writing this its clear that there is more than one way of doings things, you need to find the right method for you as an individual. Working with someone you trust and believe in is the key to succeeding with your swimming. You also need to start with a full analysis of where your stroke and fitness is currently, by doing this you can avoid many frustrations and wasted effort down the line. Also learn to trust your intuition, if something doesn't feel right then you might not be doing something properly or it may not be specific your stroke. So the answer to the question to drill or not to drill is... of course you should use drills! But make sure the ones you use are specific to your stroke and used in moderation. Also make sure you fully understand why you are doing them and whether you are doing them correctly. If you're not sure then find a coach with a proven track record who can help and take the guesswork out of it. 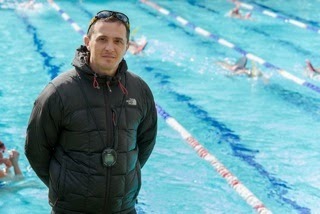 Julian Nagi is a Swim Smooth Coach based in Acton, London. Getting Your Swimming Mojo Back! May is a funny time here in Perth. The long summer triathlon and swimming season has finished with many swimmers feeling a bit flat and unmotivated as the days get shorter and the mornings colder. You might be in the northern hemisphere and entering into the summer but if despite that you too have lost your swimming motivation, this post is for you. Since winning the Manhattan Island Marathon Swim last June I've been really struggling to train consistently. I missed swimming the Catalina Channel in October due to a serious back injury, ended up having surgery on it in December, got my stitches infected in January, had the wound re-open in February and then ran a series of events in the UK in March. when I've got my swimming mojo back! It feels like one thing after another, I've had zero consistency to my training and I'm totally craving routine and stability right now. In a nutshell, I need my swimming mojo back! Sound familiar? Here's some thoughts and ideas I've used with myself and also the Swim Smooth squads in Perth to re-ignite our respective swimming fires over the last week or two. It's been going great - so why not try them yourself if you're feeling a bit flat? The first thing I did with the Perth squads was have everyone do a 400m and 200m CSS timetrial to work out their CSS pace. It's easy to get het-up about timetrials but don't think of this as anything more than a stake in the ground of where you are right now - no big deal. Once you know your current CSS you can train accurately at the right intensity for your current fitness level to get you on an upwards path, which is very motivating. That's important to get right because if you try and hit your times from your peak of fitness last season, you'll struggle hugely and you will feel like quitting before you've even started. I just performed the CSS test myself and my times for the 400m and 200m were 5:04 and 2:27 giving me a current CSS pace of 1:19 /100m. For me that's very slow (my CSS pace before Manhattan was around 1:10/100m) but that's OK, that's where I am right now and the only way is up! If you've been out of the water for a while like me it's unlikely you're going to hit personal best shape after a month or two's training, so rather than setting yourself a big PB as a target, try something a little smaller. motivation high heading into the Perth winter. My mini-goal is to get my CSS down to 1:15 /100m. And as a second mini-goal (rather a tough one!) 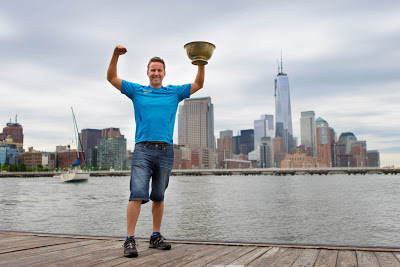 I'm challenging myself to swim with ITU super-fish Richard Varga during the swim at the JB Trust Triathlon in July. Now that is a pretty big challenge but it feels very motivating and I'm not afraid if I can't quite match him off such little preparation - but I'm going to try! My top tip here is to make your mini-goal(s) as motivating as possible, keep them just achievable but challenging. Make them too easy or too hard and you'll struggle for motivation but find the 'hard-but-doable' sweet-spot and your competitive juices will start flowing nicely! Nearly always the biggest challenge is simply starting your new routine. We think about doing it, then put it off to tomorrow and then the next day, and then it never happens. Procrastination is a dream killer! The hardest thing of all is just starting, once you are underway it gets easier and easier. So the most important thing here is to turn off the brain and just start! What I suggest you do is pick a time period (for me the 10 weeks to the JB Trust Triathlon) and work out the number of sessions you want to swim in that time. Then start counting them down. I picked 50 sessions and I'm already on number 4. You might pick 20 or 35 sessions yourself depending on your level of swimming but make sure it's a fixed number and start ticking them off! My bet is that as you get near the finish you'll feel sad that it's ending. That's not a problem of course, it's simply time to set some more mini goals and have another count-down. focused training sessions to follow - perfect! Prior to winning Manhattan I did a very similar thing: Coming off a solid block of training I had 10 weeks remaining until the race and I wanted to get 50 sessions in during this period. 5 sessions and around 36km per week might sound like a lot but not compared to my rivals who were swimming upwards of 65km per week (in fact 2nd place finisher Lochie Hinds was clocking over 120km per week!). But 5 sessions was all that I could fit in around my busy work and family commitments so I had to be realistic. Try using this yourself. Not only does it feel good to record your sessions but recording 'one good thing you did' and 'one thing you could do better' is very motivating in its own right. OK so there we have it, four great ways to re-discover your swimming mojo again. The most important thing? Turn the brain off and just start - not next week, not tomorrow but today!